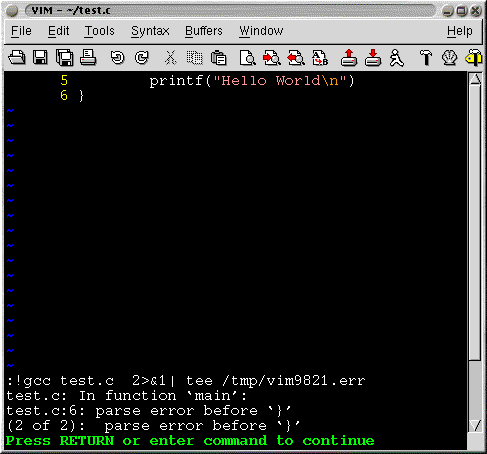 VIM automatically opens the file containing the error and positions the cursor at the location of the first error. After setting makeprg, you can just call the make command and quickfix will come into play. On pressing RETURN, the cursor moves to line number 6. Now, the command :cn will move the cursor to the line number 4. 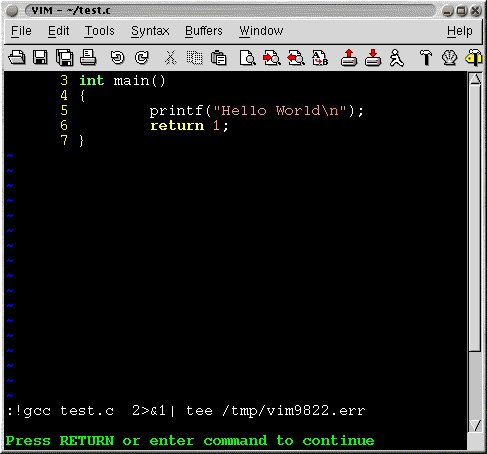 To move back to the previous error, one can use the command :cN and the cursor will move back to the line 6. That was just a small example. 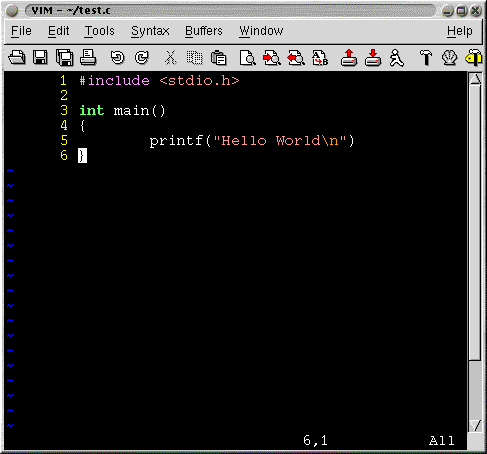 You can use quickfix to solve your compile time problems and hopefully reduce the edit-compile-edit cycle.